The sweeping changes from the 2017 Tax Cuts And Jobs Act (TCJA) is only now affecting many taxpayers’ returns. While rates were reduced and some popular benefits like the Child Tax Credit have been expanded, other benefits such as the unreimbursed employee expense deduction and personal exemptions have been eliminated through 2025. The deduction for state and local taxes has been capped at $10,000, and home mortgage interest is capped for debt exceeding $750,000. Form 1040 received its largest makeover in decades from the Internal Revenue Service. 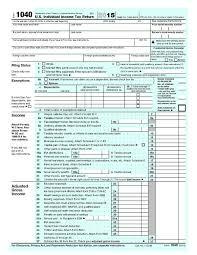 The new shorter form consolidates Forms 1040, 1040A and 1040-EZ into a single document. The IRS created a “building block” approach whereby everyone will use the standard Form 1040, plus six new accompanying schedules as applicable. These schedules contain information that used to be on Form 1040. Despite what you may have heard, the tax code is as complex as ever. Business tax returns (such as those contained on Schedule C for sole proprietors, Form 1065 for Partnerships and Forms 1120/1120S for Corporations) have not changed. Business mileage was 54.5 cents per mile in 2018, rising to 58 cents per mile for 2019. Because unreimbursed employee expenses have been suspended for 2018-2025, employees can no longer take this deduction on their federal taxes. The Additional Standard Deduction ($1,600 for singles and $1,300 for married filers) remains in place for taxpayers who are blind or over 65. The maximum Earned Income Tax Credit increased to $6,431 for taxpayers with 3 or more qualifying children. IRA contribution limits remained at $5,500 for 2018 with a $1,000 additional catch-up contribution limit for taxpayers over 50. Maximum 401(k) deferrals were $18,500 for 2018 with a $6,000 additional catch-up contribution limit for taxpayers over 50. Mortgage Insurance Premiums remain deductible for 2018 (Congress typically only extends this deduction annually, so it’s never guaranteed the deduction will continue in the future). The Health Insurance Mandate (sometimes known as the Shared Responsibility Payment or “Obamacare Tax”) remains in effect for 2018, but has been eliminated for 2019. 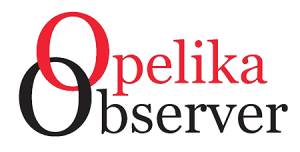 Auburn (1.0%) and Opelika (1.5%) continue to impose an occupational license fee (a city income tax) on wages earned within the city limits. Keep in mind that despite all the federal changes, state taxes are generally the same as ever. So, even if you cannot deduct items on your federal tax return that you are accustomed to, they may still be deductible for your state tax returns. With all the changes and updates for this year’s filing season, it’s important to select a tax preparer who is prepared and ready to tackle the changes in the TCJA and provide you with the best result possible. Justin Smith is a licensed Certified Public Accountant in Opelika, specializing in individual and small business tax and accounting. He can be contacted at 251-209-2579 or Justin@JSmithCPA.net. His Web site is www.jsmithcpa.net.